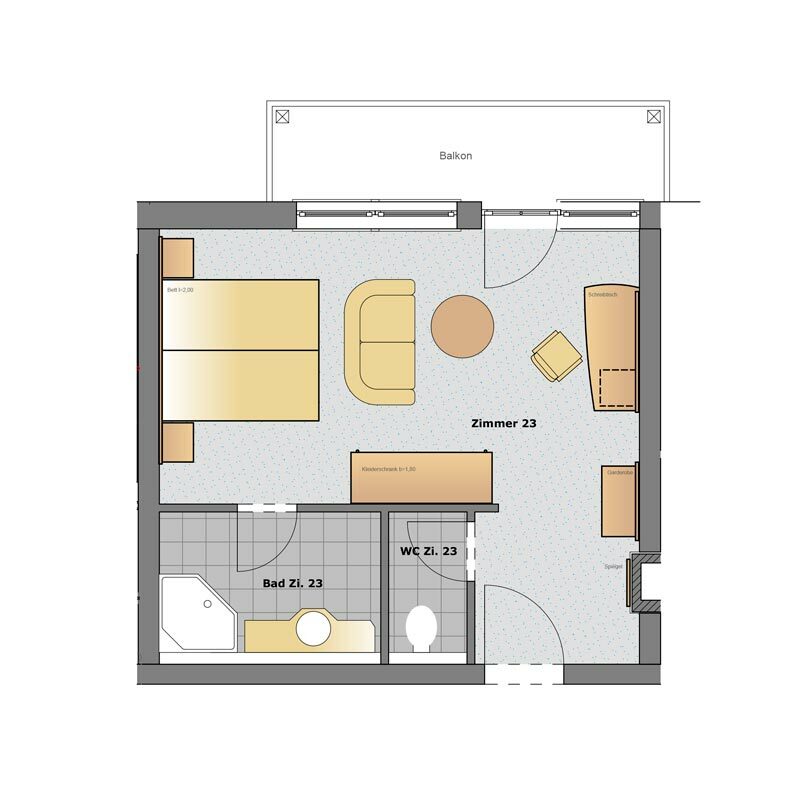 A room with 32 sqm on the second floor with a fantastic view over lake Hopfensee. 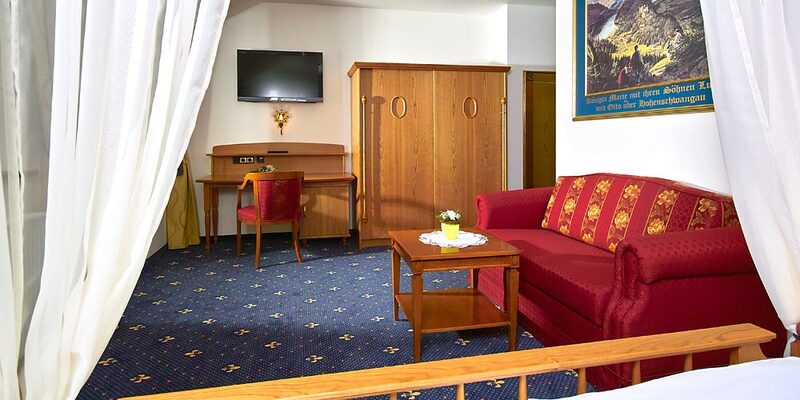 This suite accommodates 2 to 4 persons in a classy ambience with custom-made cherry tree wood furniture. 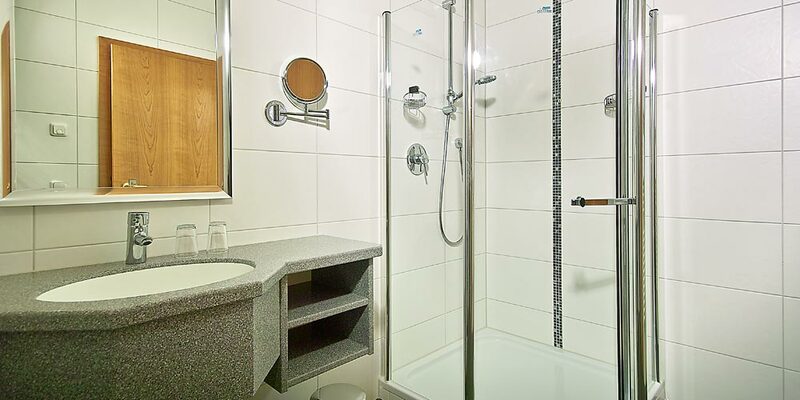 Wall-to-wall carpet, bathroom with shower and a separate WC, a desk and a sitting area with a couch and table, flat screen TV and a safe (big enough to fit a notebook) as well as internet access makes this suite perfect.